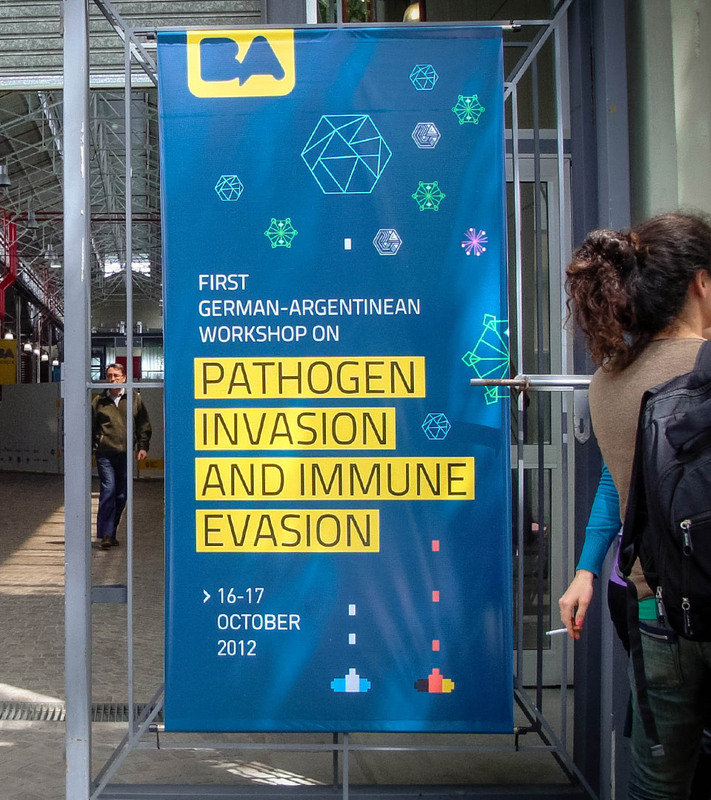 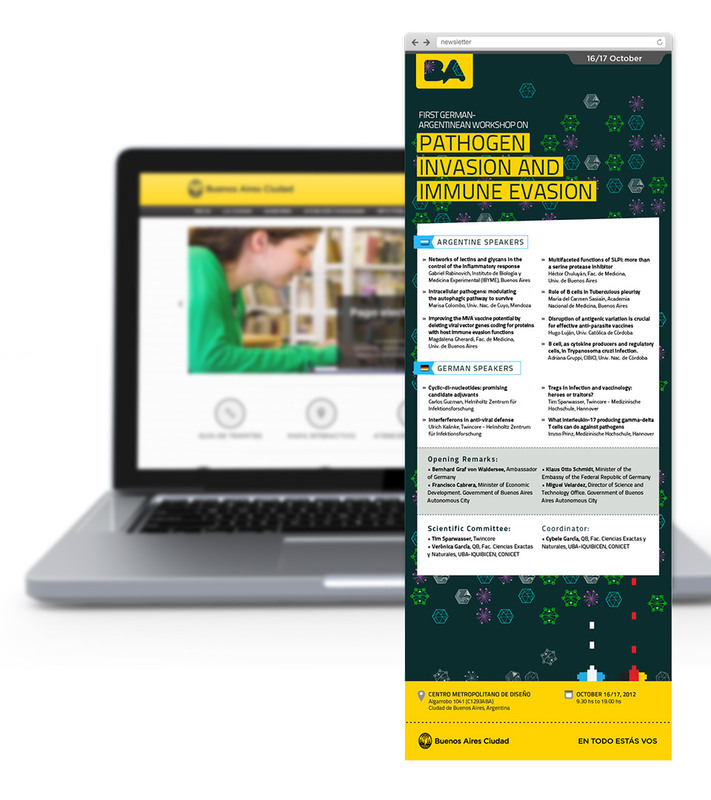 Identity design for the “Pathogen and Immune Evasion” Workshop that took place in the Metropolitan Center of Design (CMD) in Buenos Aires. 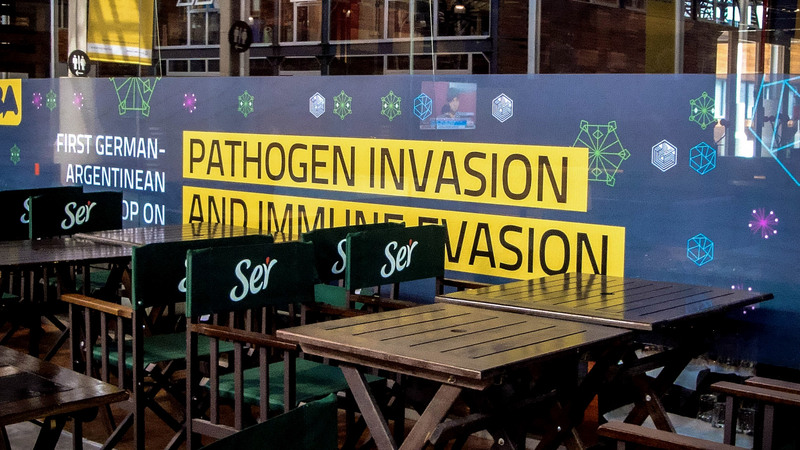 We were in charge of the ambientation and merchandise of this international event. 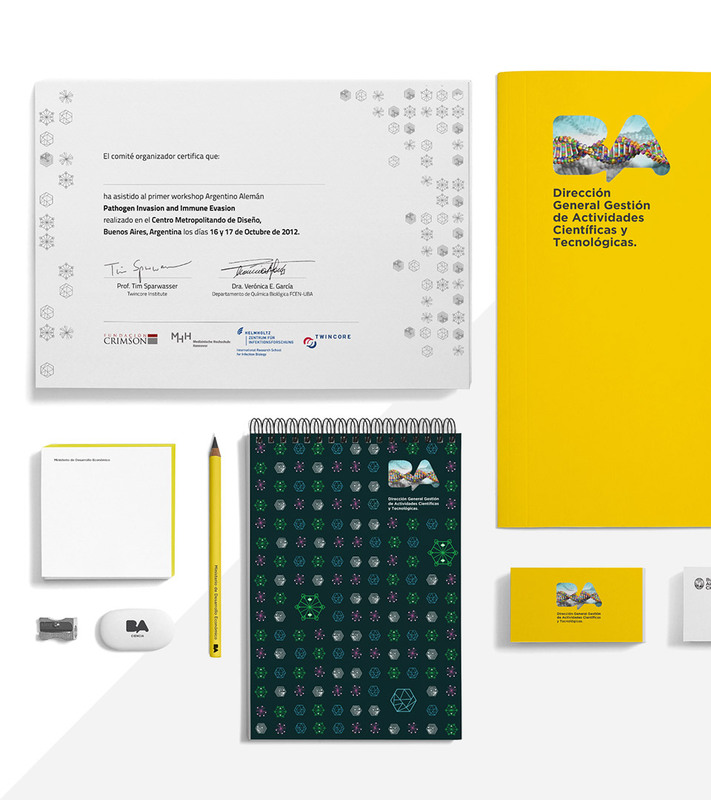 We created banners, and posters for the venue, as well as diplomas, notepads and credentials.